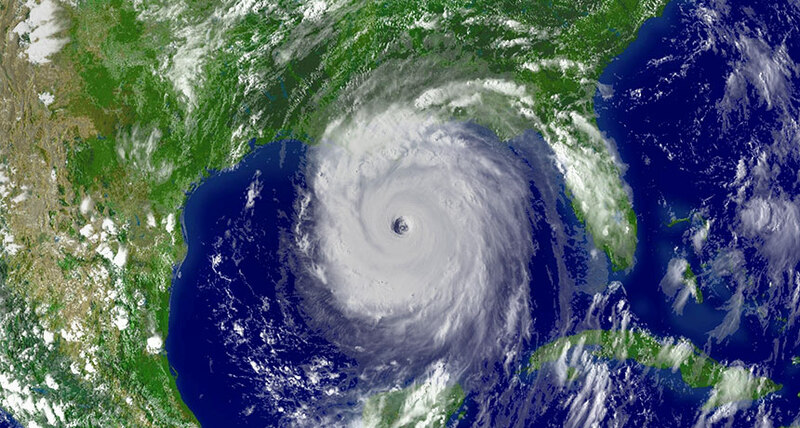 STORMY YEAR A record number of named storms, including Hurricane Katrina, shown here as a Category 5 storm on August 28, 2005, formed during the 2005 Atlantic hurricane season. Scientists say that, as of now, 28 is near the maximum number of storms the Atlantic can produce in a year. In 2005, a total of 28 named tropical cyclones churned across the Atlantic Ocean. That set a record that is likely to stand for a while: There is only a 3.2 percent chance of more Atlantic storms forming in any one year, at least under current climate conditions, scientists report August 22 in Science Advances. There were so many Atlantic storms in 2005 that the U.S. National Hurricane Center went through its entire alphabet of names and started on Greek letters. And of the 28 named storms that year, 15 were strong enough to be called hurricanes. But could the Atlantic produce more storms, if the conditions were right? Climate scientist Sally Lavender of CSIRO in Aspendale, Australia, and colleagues examined thousands of years of climate simulations and studied the statistical relationships between those climate conditions and tropical cyclone formation. The likelihood that that Atlantic region could spawn more storms than it did in 2005, at least under current climate conditions, was only 3.2 percent - suggesting that year will hang on to the record for a while. That also makes 2005 "a reasonable benchmark" when it comes to risk management, the researchers say. But, the study looks only at current climate conditions. How the Atlantic storm tally might change in the future isn't clear, Lavender says. This study also doesn't consider how destructive future Atlantic storms might be, but previous research suggests that climate change will lead to more intense storms in the future (SN: 6/27/15, p. 9). The National Oceanic and Atmospheric Administration is predicting that 2018 won't come anywhere near 2005's numbers. NOAA predicted August 9 that the Atlantic will have up to 13 named storms, of which as many as seven could become hurricanes.